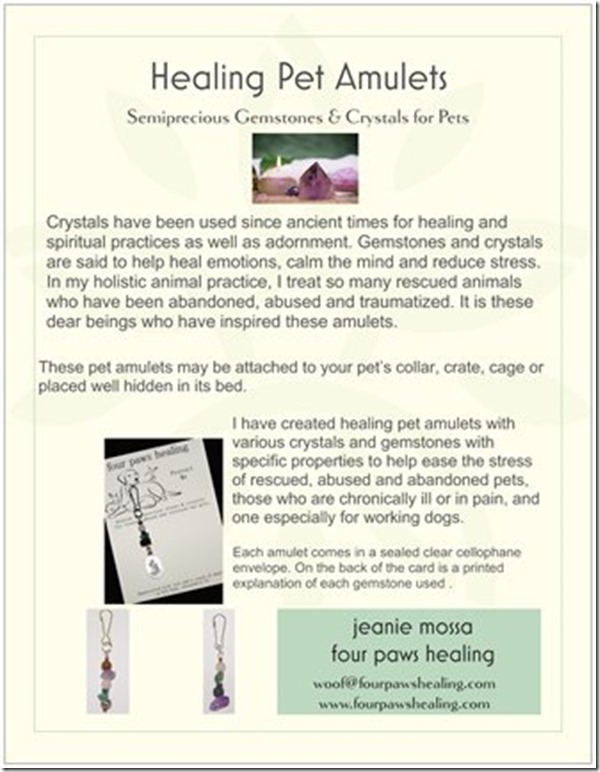 Good news for all those who would like to carry our line of Healing Pet Amulets in their shops. 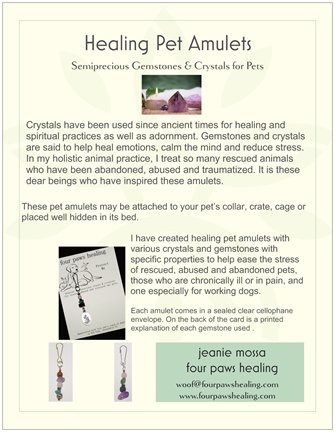 Healing Pet Amulets created with crystals and semiprecious gemstones are available online at the Four Paws Healing Emporium and at Sacred Circle in Old Town, Alexandria VA. 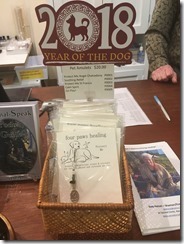 Please note that we do not sell wholesale to any shops within 5 miles of a business that is already carrying this line. All crystals and gemstones are cleared with sage and charged with Reiki. 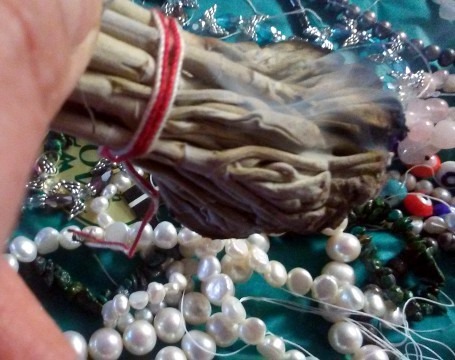 Handcrafted by licensed acupuncturist & Reiki Master, Jeanie Mossa in Old Town, Alexandria VA. 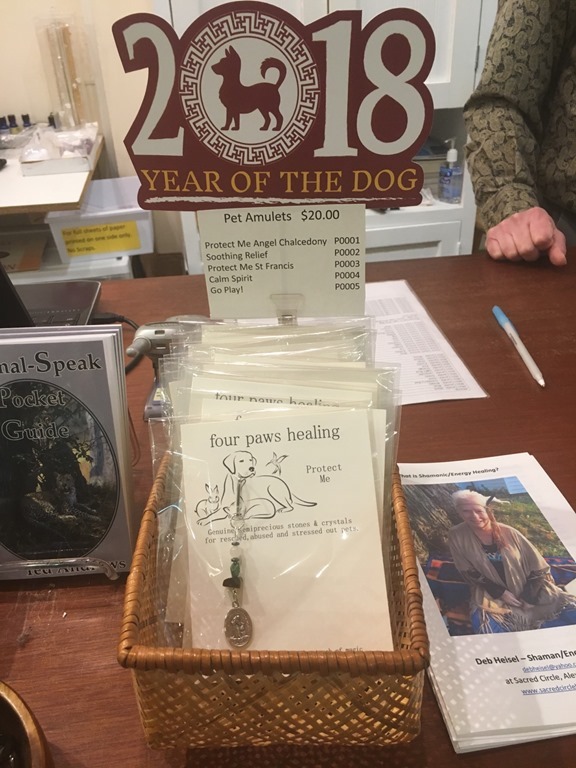 This entry was posted in crystal acupuncture and tagged crystal acupuncture session, crystal gemstones acupuncture, crystals for pets, healing crystals for pets, healing dog collar, healing pet amulets, jeanie mossa alexandria va acupuncture, jeanie mossa alexandria va holistic pet care by jeanie. Bookmark the permalink.